Hello ... Hello ... my old friends ... It's great to see you once again! 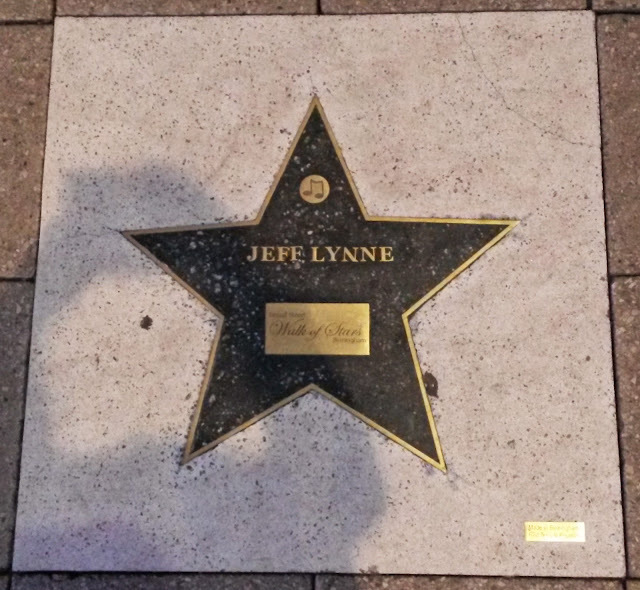 You may recall that ELO Beatles Forever [ELOBF] reported back in September that the Broad Street Walk of Stars award presented to The Idle Race, The Move, ELO and Traveling Wilburys maestro Jeff Lynne in March had been covered up due to extensive and irreparable damage. Rather belatedly, I'm is pleased to confirm that earlier this week, Yours Truly KJS found that Jeff's star [located next to the corner of the Symphony Hall building on Broad Street] has now been replaced [see above photograph]. This means that the Broad Street stars for Electric Light Orchestra [ELO] founders Jeff Lynne, Roy Wood and Bev Bevan can now be found in close proximity to each other. 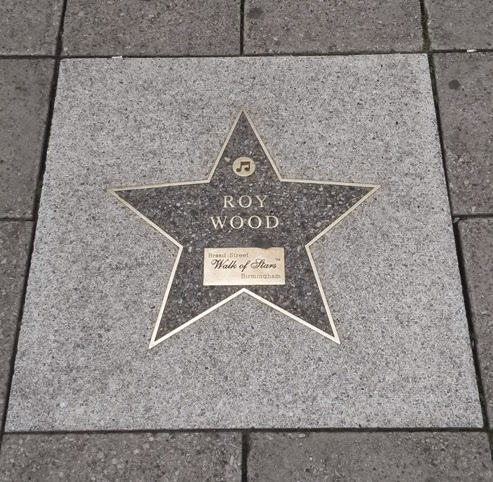 Wouldn't it be great to also see ELO locals Richard Tandy and the late, Kelly Groucutt given the same accolade?